When I started this blog, I was approached by a good friend, Rabbi Moshe Haikins, the founder and director of the Chevrah Lomdei Mishnah - The Society for the Mishnah Study, with the request that I read and review a book that they had published (in cooperation with Judaica Press). Of course, there is a danger in accepting such a request from a friend, as it entails the risk of having to inform your friend of your true opinion of the book. This is especially daunting when the book is already in print and your criticism can no longer serve any constructive purpose. Thankfully, I was not faced with this difficulty in this case. 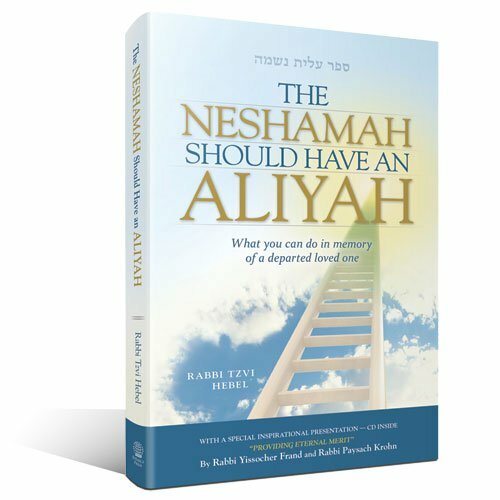 In The Neshamah Should Have an Aliyah , Rabbi Tzvi Hebel has succeeded in producing an outstanding work that will probably become a standard text in the English speaking Jewish world. The work deals with an issue that everyone is eventually faced with; how to properly memorialize a deceased loved one according to Jewish tradition. The book begins with a general overview of the different concepts that underlie the various traditional Jewish practices for memorializing the departed. All of these concepts are based upon the basic principle that the departed do not cease to exist at death, and that even after death, it is possible for the living to continue to contribute to the welfare of our loved ones who have passed on. Most significantly, the departed continue to gain merit through the good deeds of their children and family. Moreover, good deeds done with the intent to bring merit upon the deceased, are themselves raised to higher level, for in addition to the good deed itself, such acts also include the elements of chessed (kindness) and kibbud av v'eim (honor of parents). However, the real strength and uniqueness of this work is in the next section, which makes up the bulk of the work, titled, "What You Can Do - A Practical Guide." This is a comprehensive, and very practical, guide to the many different traditional practices used to memorialize and gain merit for the deceased. The only way to really appreciate how comprehensive this work is to look over the table of contents. The topics covered include Torah study (both during the period of mourning and afterwards), charity and chessed, prayer (covering the recitation of kaddish, yizkor, and other such practices), the tombstone, visiting the grave, naming children after the deceased, the yahrtzeit (yearly anniversary of the deceased's passing), and so on. All of these are accompanied by highly practical advice and information. Thus, in reference to the practice of studying mishnayos during the shivah (first seven days of mourning) based upon the name of the deceased (in which each mishnah begins with a letter from the Hebrew name of the deceased), the publishers included an appendix to the book that has a mishnah with translation for each letter of the Hebrew alphabet. Similarly, when discussing charity and chessed, the author includes an introduction to setting up a gemach - a fund for free loans of money or other acts of kindness - which can be an outstanding source of merit for both the deceased and the living. This book even includes names and phone numbers of organizations and experienced individuals who are willing to help you set up a gemach. The book even includes a sample agenda for a family meeting for discussing what the family can do to memorialize their departed loved ones. Yet despite the comprehensive and practical nature of this work, Rabbi Hebel has succeeded in producing a book that is of a reasonable size (well under 200 pages) and which is written in clear, accessible language. The book includes an index and glossary, and the longer sections are followed by bulleted summaries. In short, with this work, Rabbi Hebel has performed an extraordinary service for the Jewish community. He has provided us with a user-friendly guide to a topic that we are often first confronted with at a time of great stress. I highly recommend this work for every Jewish home. Rabbi Hebel and the Chevrah Lomdei Mishnah have also published Mishnas Chayim, a collection of insights on the weekly Torah portion from the Mishnah originally published in their popular weekly parsha sheet. I was given this book as a gift right after the shiva of my son who was taken from us by cancer after a long illness. Once I read it and realized that the connection between us still existed and learned how to maintain it through time-honored traditions, I found our situation much easier to deal with. Our whole family has come together to organize many of the projects described in the book, and it has been a tremendous source of satisfaction to us to feel that we can still help our child, brother and cousin. I highly recommend the book to everyone.